Stay tuned and check SIRE’s website frequently for updates on our upcoming events and competitions. 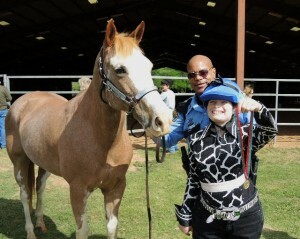 This show is put on by the Special Children’s Committee of the Houston Livestock Show and Rodeo. 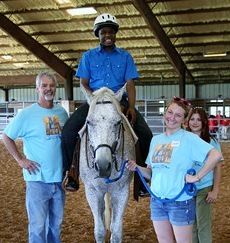 Riders from programs all over Texas participate. We need many volunteers in order for our clients to participate. This is always an incredibly rewarding experience for all who attend! Regional Special Olympics is a one day event, typically held in mid April at a location within an hour’s drive from Houston. State Special Olympics is a full weekend event and is held at an out of town venue in late May. Volunteers are needed for both to help with transporting and caring for horses, set-up, leading and sidewalking, and clean-up. This is also a truly memorable and fun event for all. 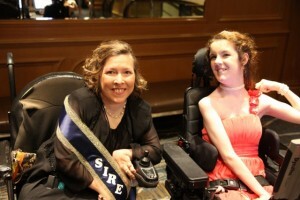 Gala participants raise as much money to support SIRE as all the tuition paid by SIRE riders. We start recruiting sponsors in January. Silent and live auction items are always needed. We have a great gala committee made up of volunteers and volunteers are also needed to help Saturday during the day and into the evening. events and to show off all they have learned throughout the year to family and friends. 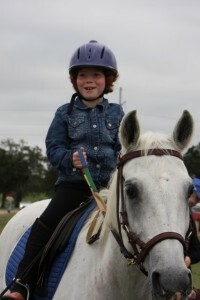 The Ride-a-thon is our annual big fundraiser trail ride that takes place in the fall. Individuals and teams of riders obtain sponsors and bring their horses to an area ranch for a 6 or 12 mile trail ride. 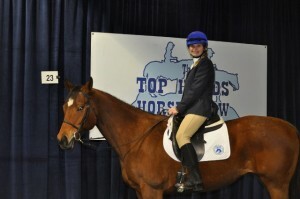 SIRE clients also get to attend and ride on a special one-mile trail ride. Volunteers are needed to help raise pledges, plan the event, and lead and sidewalk with the clients. The Ride-a-thon is a favorite event for many volunteers.